What a ride! 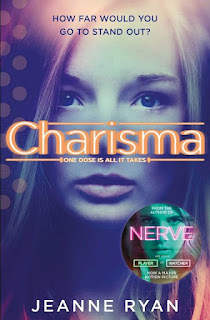 Charisma is a non-stop, addictive and thought provoking read about the science of genetic manipulation and the potential benefits and pitfalls of a future where we can alter our own genes. The story follows severely shy Aislyn. Her brother has cystic fibrosis, her mother is struggling to save money and Aislyn desperately wants to help everyone. But Aislyn cannot even muster the courage to present her school science project, so being a voice for her brother's illness, keeping a job or even talking to boys seems impossible. Until Aislyn is offered Charisma. A life changing gene therapy, Charisma has been designed to improve charm, magnetism and sociability. It seems like a dream come true, but the drug has not been properly tested and unforeseen side effects put Aislyn and everyone close to her in danger. Charisma gives Aislyn courage, but she must use that courage to face an uncertain future for herself and the people she loves. I’m a little bit obsessed with the gene therapy topic, so I was very excited to review this book. And I have to say, Jeanne Ryan has superbly woven current and accurate facts about genetics into a thrilling and addictive story. The story is real and raw, and it forces you to consider how far you would go to improve yourself. But it is also very relatable. Boyfriends, best friends, family, work, school and teen parties feature throughout the story, making you feel as though Aislyn's life could easily be your own. This is a novel that sparks thought about the future of humanity, but it does so through an engaging and relatable story. If you love science fiction and thought-provoking stories, you will love this book.